Love the combination of tart and sweet, moist and crunchy? This recipe is just for you. 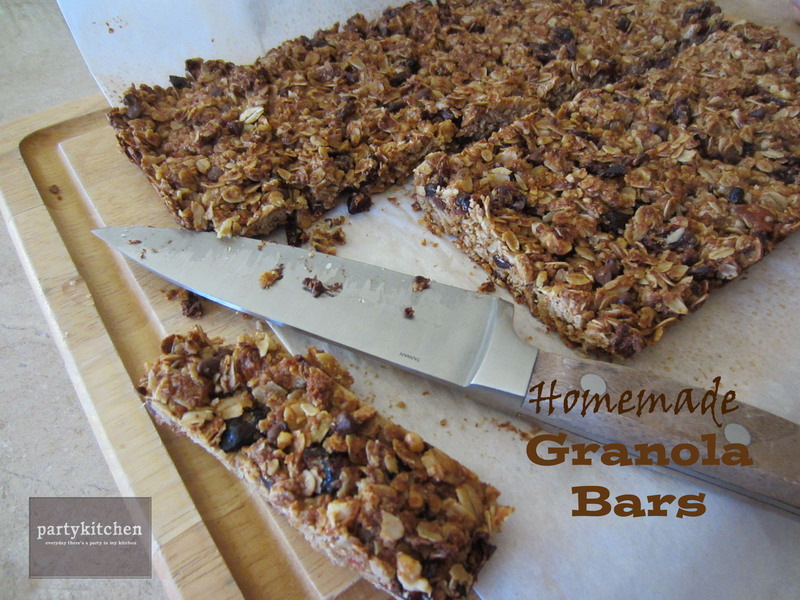 The perfect addition to a cup of coffee for Mom and my kids are devouring them! 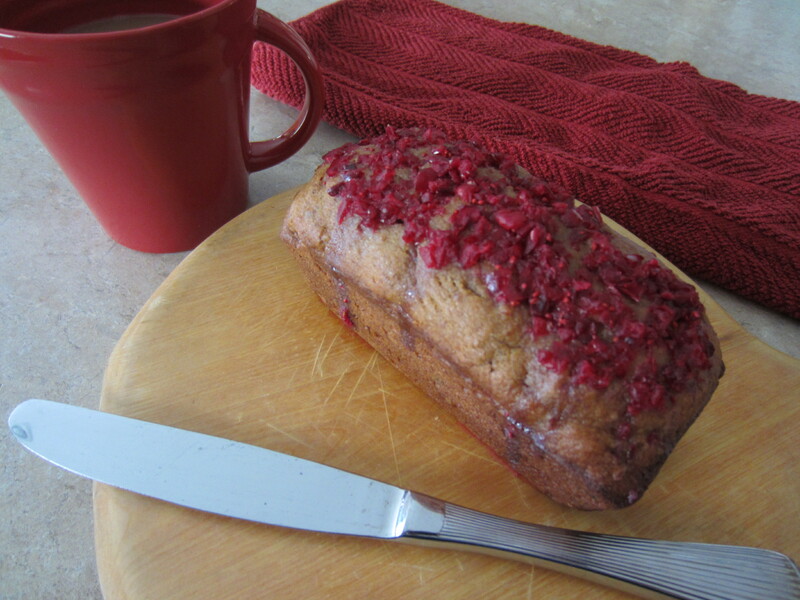 The bread itself is absolutely delicious – banana bread with a hint of tartness from fresh cranberries and the crunch of walnuts. Plus, the fresh cranberry glaze on top enhances the complex flavors. Preheat oven to 350°. Grease muffin tins or loaf pan. Cream butter with an electric mixer. Gradually add sugar and bananas. 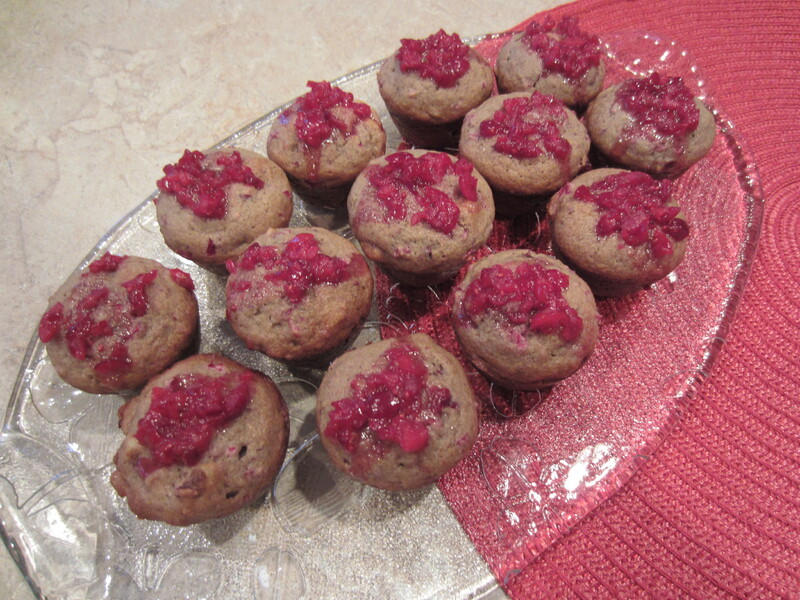 Reduce speed of mixer and add flour, baking soda, salt, milk cranberries and walnuts. 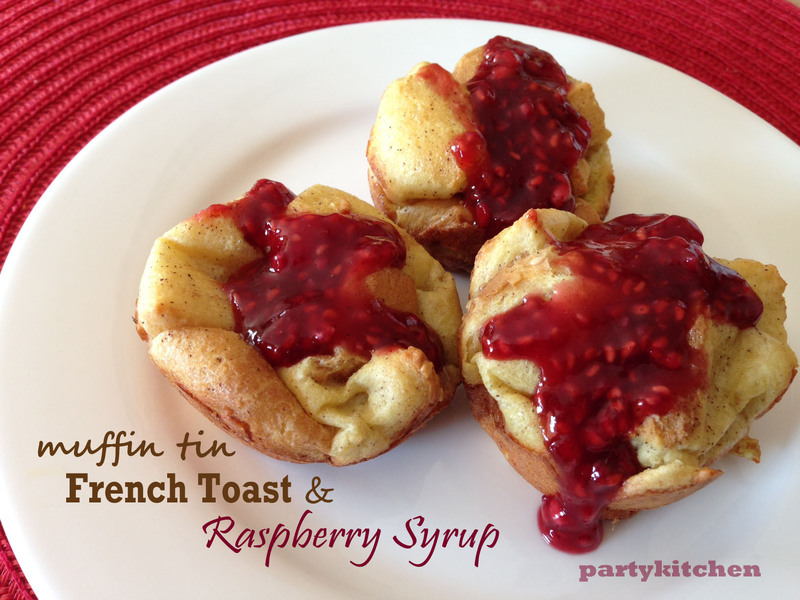 Evenly fill muffin cups or loaf pan. Combine all ingredients and spread over the top of loaf or muffins. Store in an air-tight container. Sweet Stackers will separate moist mini muffins to prevent them from sticking together or ruin the glaze topping. 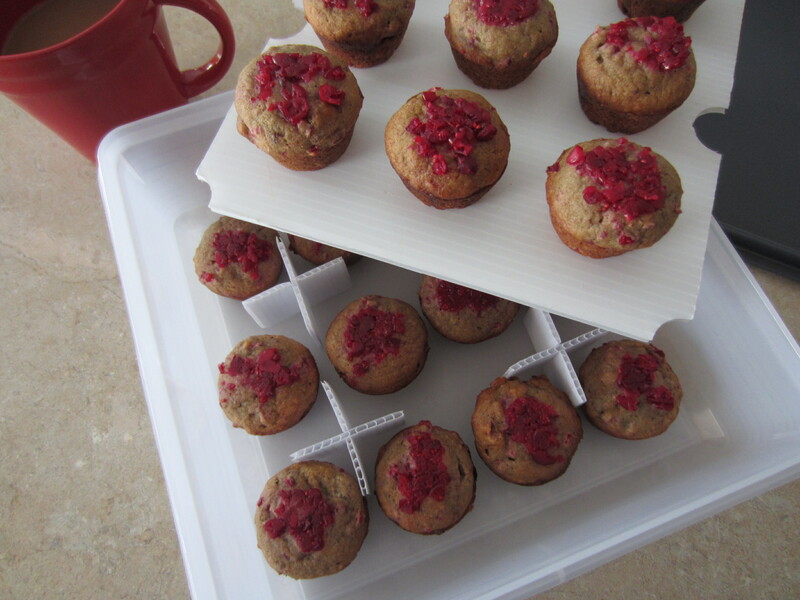 The stackable trays also work great in the freezer! Visit sweetstackers.com for more information. “En Croute” indicates food that is wrapped in pastry dough. You can make a visually beautiful dinner even on a week night! 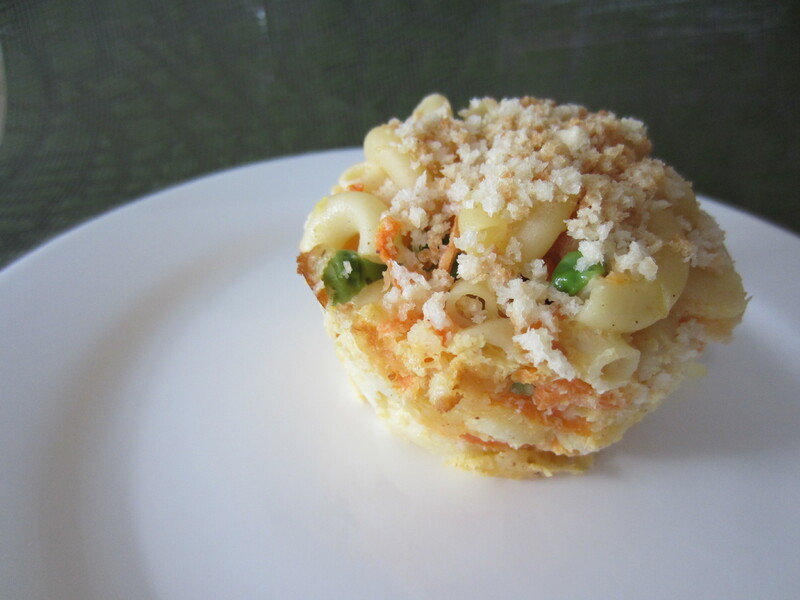 Today, I was inspired by a recipe in Jamie Oliver’s Food Revolution Cookbook, but I added a slightly different twist. Best thing was that I had all of the ingredients on hand in my fridge, freezer and pantry. I try to keep a package of frozen puff pastry on hand because I never know when I might need it…and I am stocked up on a filets of salmon. My family and I are doing good at eating a fish dinner at least once a week because of the health benefits and my kids LOVE it! I personally prefer wild salmon because of the taste and texture. I topped the salmon with basil pesto, slices of fresh campari tomatoes, and slices of mozzarella. 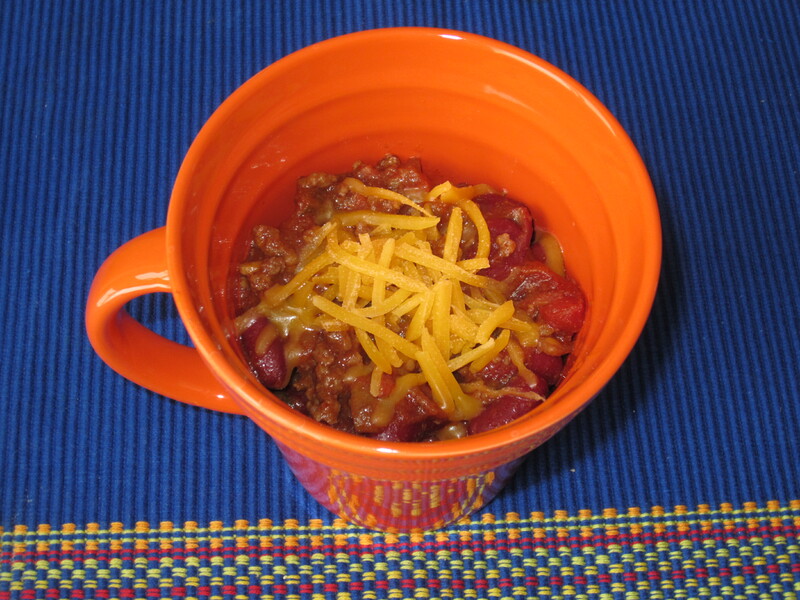 This was a very eye appealing, fast, fun and easy dinner – yummo! Dust counter surface and rolling pin with flour. Place two sheets of puff pastry, one on top of the other, roll dough until same size of a cookie sheet. Lay dough on top of a cookie sheet dusted with flour. Lightly drizzle olive oil on salmon filet to coat the surface and place the filet in the center of the dough. Generously spread the basil pesto over the top of the filet. Layer the tomato slices down the center of the filet and fill in with the mozzarella cheese. Roll the dough around the edges of salmon filet. Brush the egg on the edges of the pastry dough. Place salmon on the lowest rack of your oven with an empty cookie on the rack above to sheild the heat. 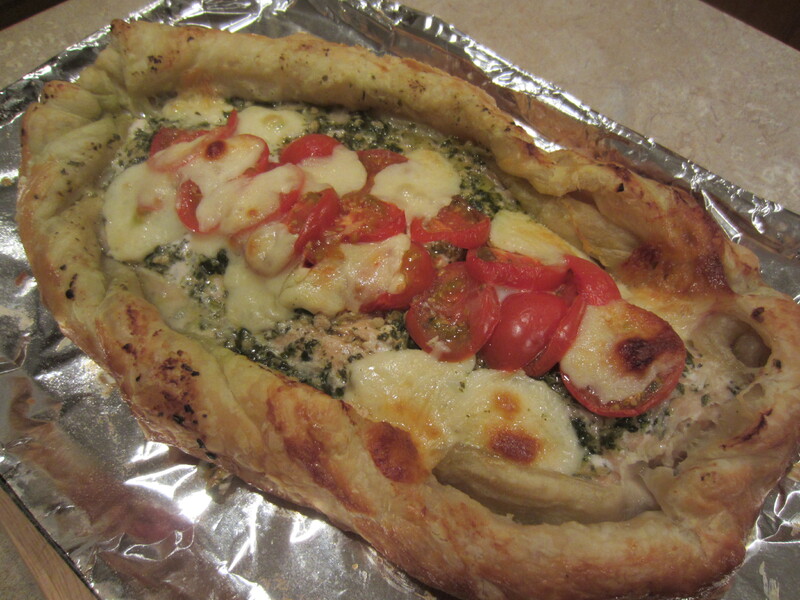 Bake for 35 minutes until the salmon is done and the pastry is puffed and golden brown. 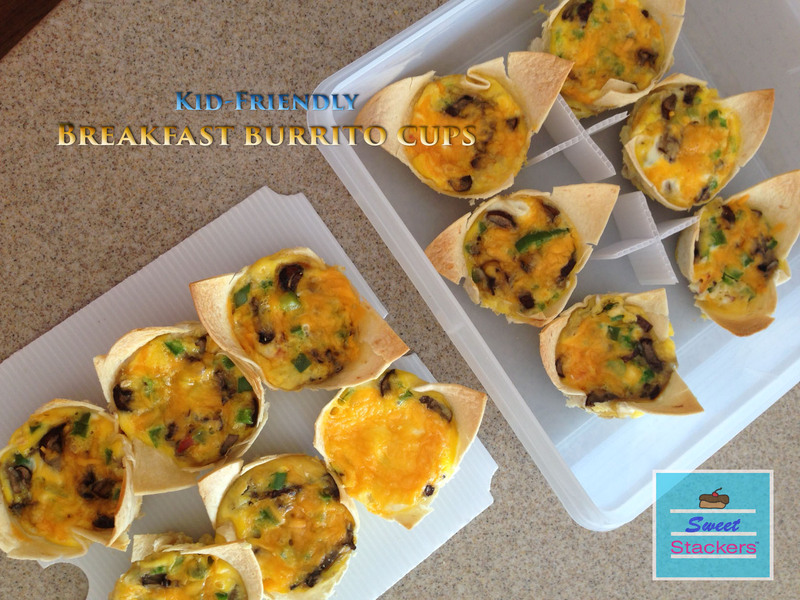 Here’s another great way to get your kids in the kitchen making a quick and healthy dinner. My 5 and 3-year-old helped me mix the ingredients and roll them into little balls. We used a melon baller to get equal amount of mixture to each meatball. They are cute, kid friendly because of their size and texture and quick to bake. Of course I added a veggie ingredient for added nutrition. By using the melon baller, I was able to make 63 mini meatballs out of 1 pound of ground turkey! Preheat oven 350°. Mix all ingredients until well combined. Scoop up using a melon baller and roll in between your hand until a round uniform shape is achieved. Place on a cookie sheet and bake for 20 minutes, flip the meatballs half way through. Once baked, add the meatballs to pasta sauce and serve over pasta. Why not make another batch and freeze them? Layer the meatball on Sweet Stackers – stackable trays which fit many popular brands of plastic food storage containers. Helps to save space in a packed freezer! The trays will separate the meatballs to prevent them from sticking together. Once frozen solid they can be removed and placed in a plastic freezer bag. Visit sweetstackers.com! 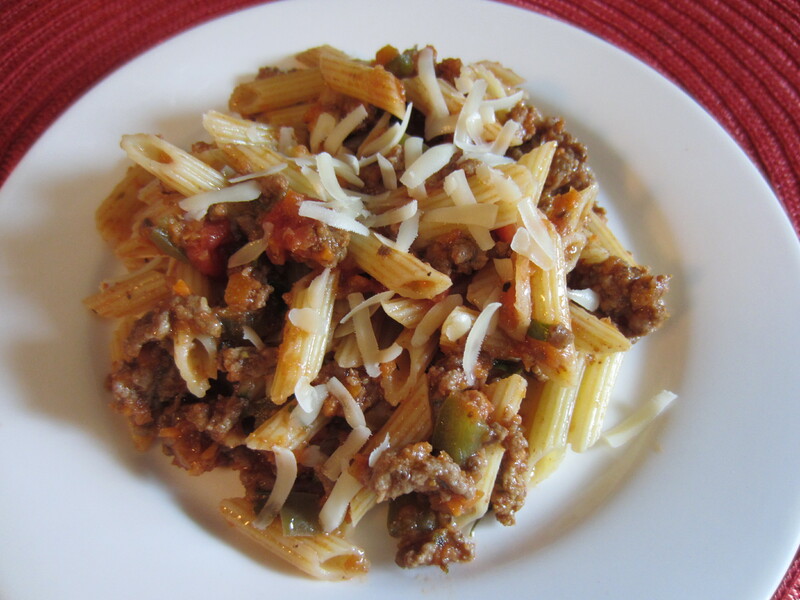 Frozen meatballs can be thawed directly in a pot of pasta sauce on the stove top for a quick dinner.